How can societies that welcome immigrants from around the world create civic cohesion and political community out of ethnic and racial diversity? 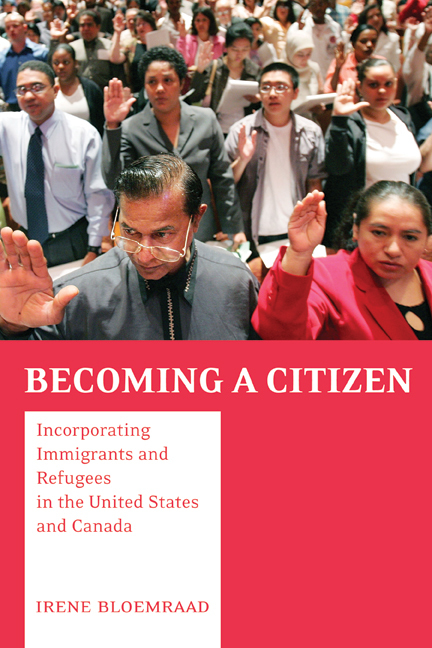 This thought-provoking book is the first to provide a comparative perspective on how the United States and Canada encourage foreigners to become citizens. Based on vivid in-depth interviews with Portuguese immigrants and Vietnamese refugees in Boston and Toronto and on statistical analysis and documentary data, Becoming a Citizen shows that greater state support for settlement and an official government policy of multiculturalism in Canada increase citizenship acquisition and political participation among the foreign born. The United States, long a successful example of immigrant integration, today has greater problems incorporating newcomers into the polity. While many previous accounts suggest that differences in naturalization and political involvement stem from differences in immigrants’ political skills and interests, Irene Bloemraad argues that foreigners' political incorporation is not just a question of the type of people countries receive, but also fundamentally of the reception given to them. She discusses the implications of her findings for other countries, including Australia and immigrant nations in Europe. Irene Bloemraad is Assistant Professor of Sociology at the University of California, Berkeley.